6 When He had said these things, He spat on the ground and made clay with the saliva; and He anointed the eyes of the blind man with the clay. 7 And He said to him, “Go, wash in the pool of Siloam”. So he went and washed, and came back seeing. 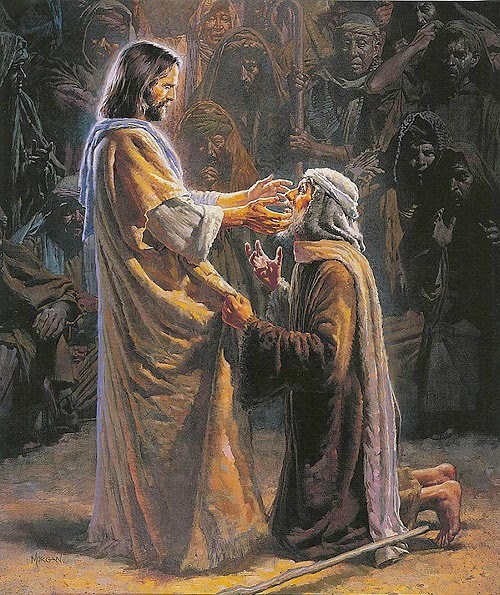 The blindness was not due to the sin of his parents or due to the sin of the blind man, but in order that the glory of God might be made manifest in him. That blind man was prepared as a salve for the human race. He was bodily restored to light, in order that by considering his miracle we might be enlightened in heart.